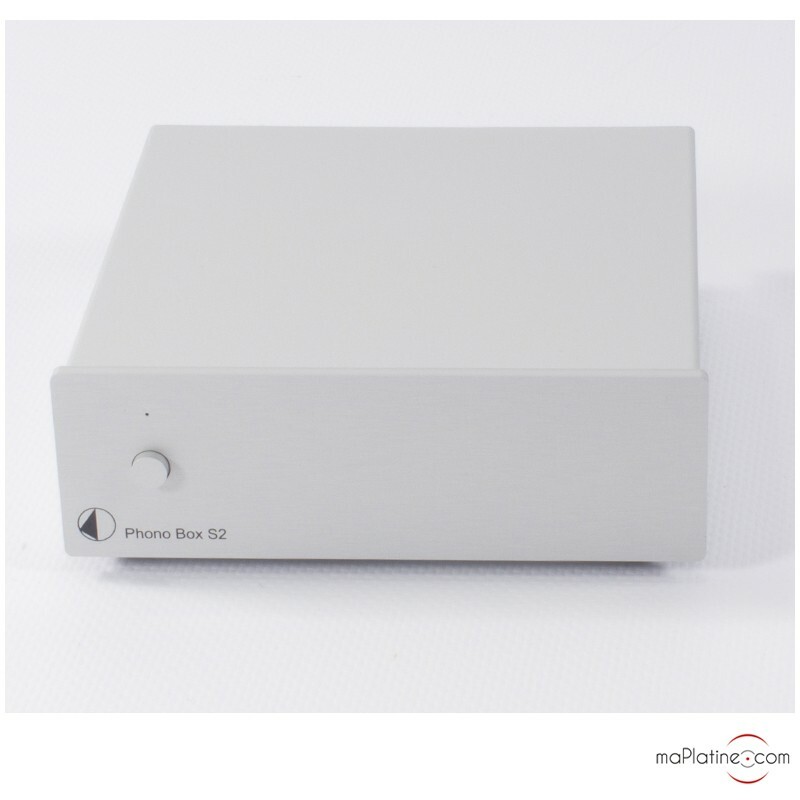 This Pro-Ject Phono Box S2 phono preamplifier is the newer version of one of the biggest success of the Austrian manufacturer, the Pro-Ject Phono Box S phono preamplifier. At first sight, there is nothing different. However, one that has an eye for detail can immediately remark that the chassis has been changed. 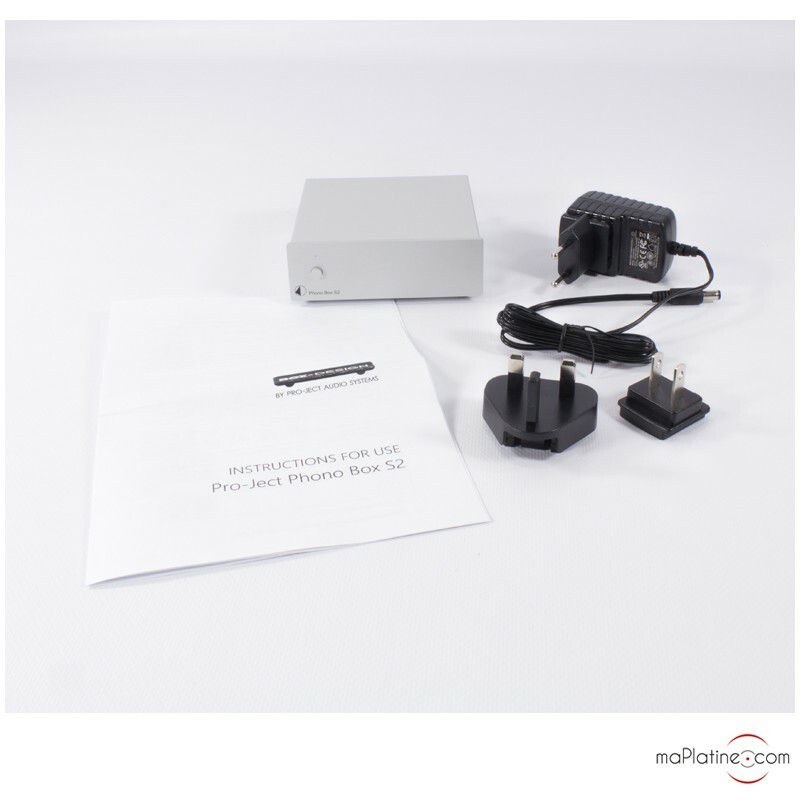 Indeed, the previous version had a brushed aluminium front panel mounted on a black steel chassis. 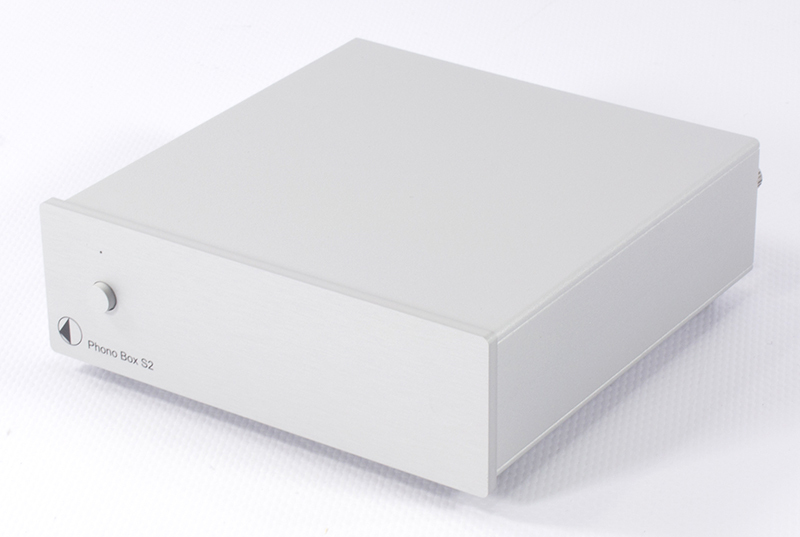 The Pro-Ject Phono Box S2 phono preamplifier has an anodized chassis made out of an aluminium piece. 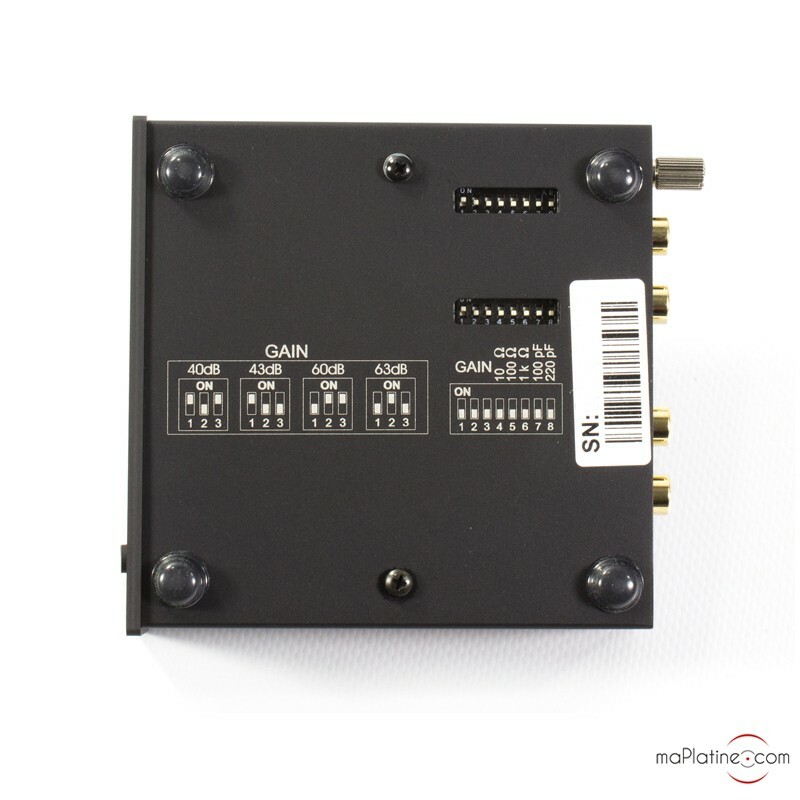 Besides its “high end” aspect, this “case” provides a better shielding of the device against radio waves and electromagnetic disturbances. 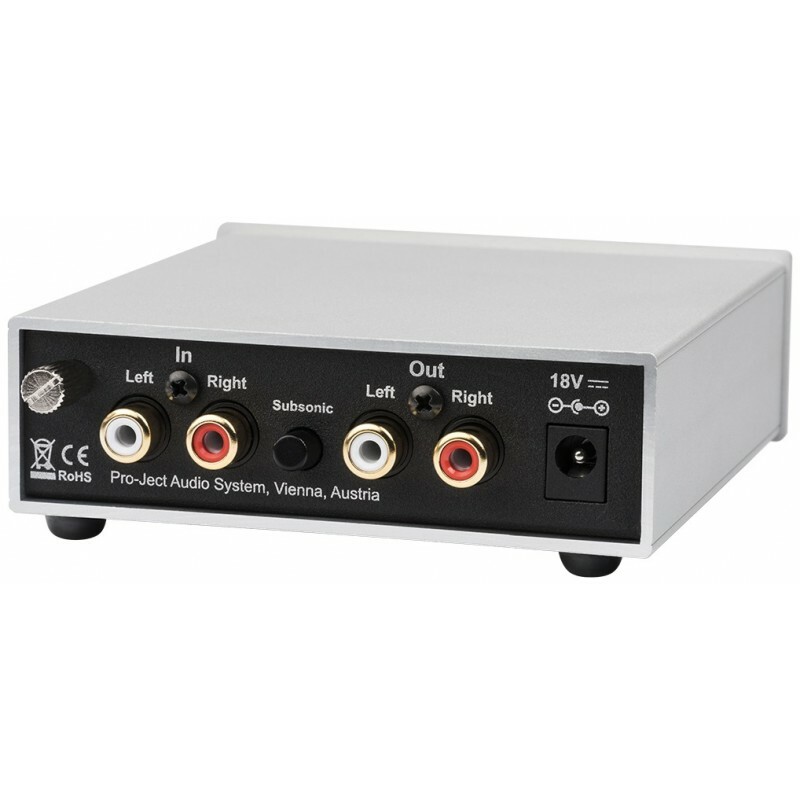 The internal architecture is totally double mono, which makes it possible to obtain a more precise stereo reproduction and soundstage. 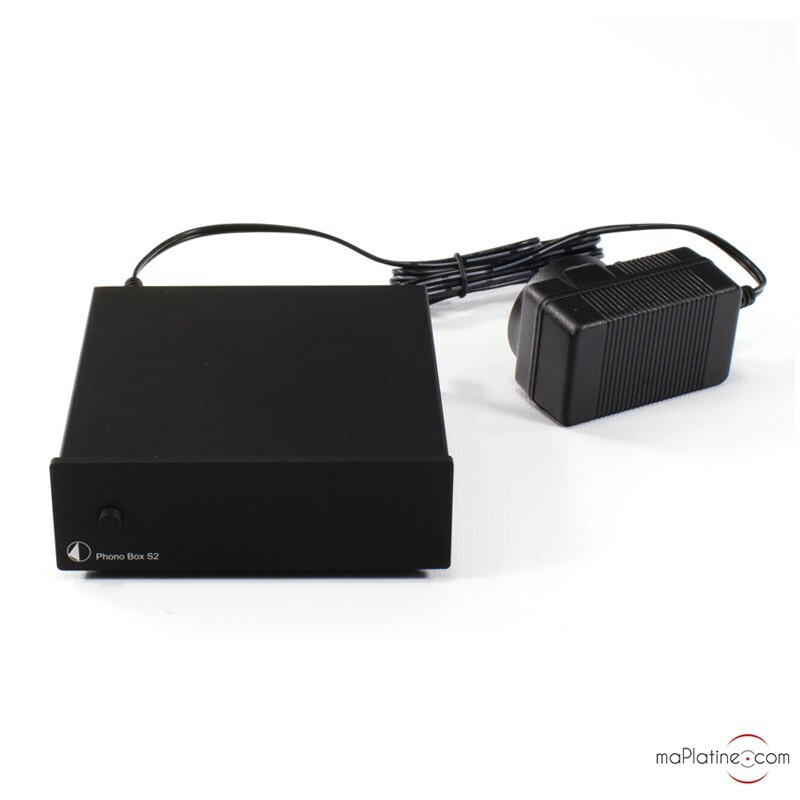 The front panel also has an elegant blue micro-led and an on/off push button. 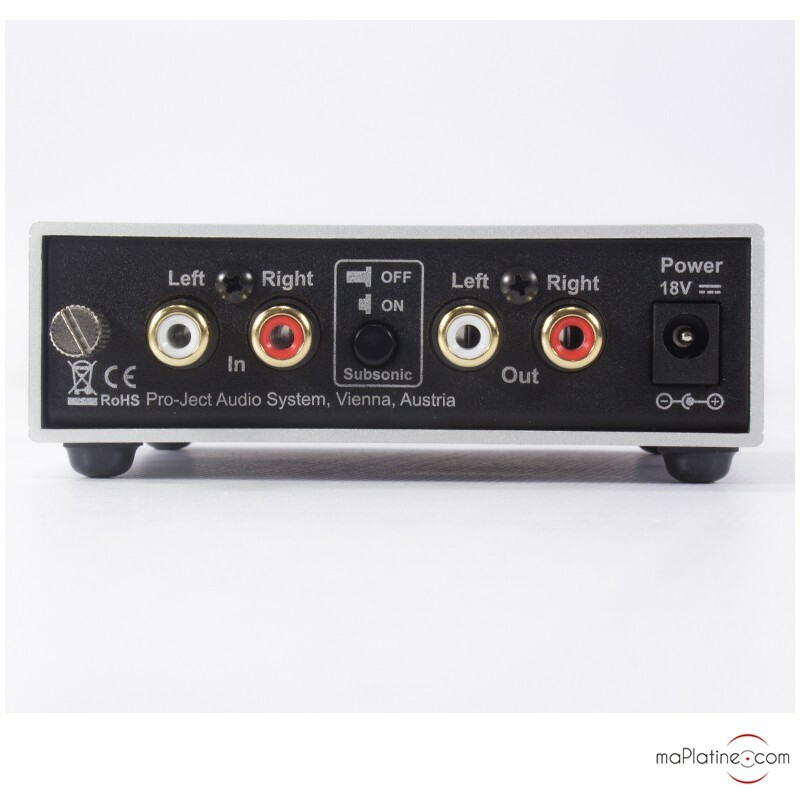 On the back panel of the Phono Box S2, there are the usual gold plated RCA inputs/outputs and a knob for the connection of the mass. 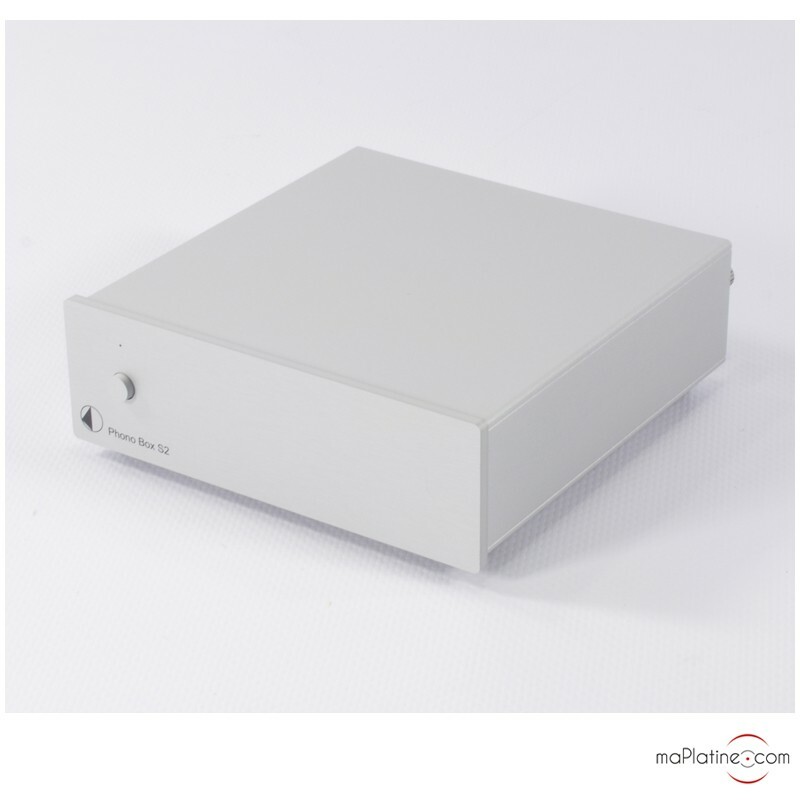 There is also a push button enabling the implementation of the subsonic filter (20Hz with 12dB/octave). 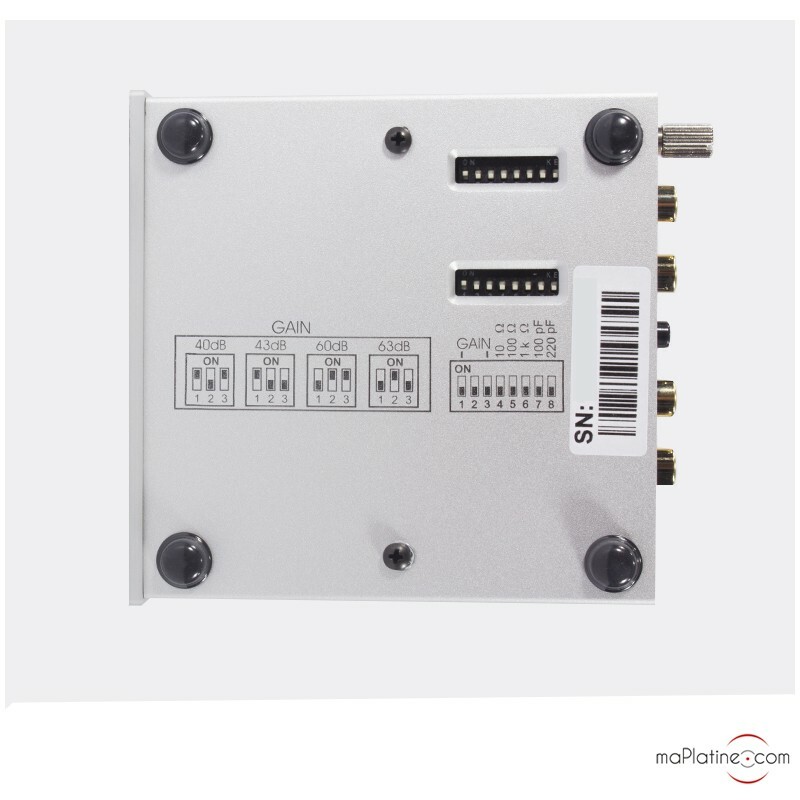 Under the device, 8 switches appear in each of the 2 windows. 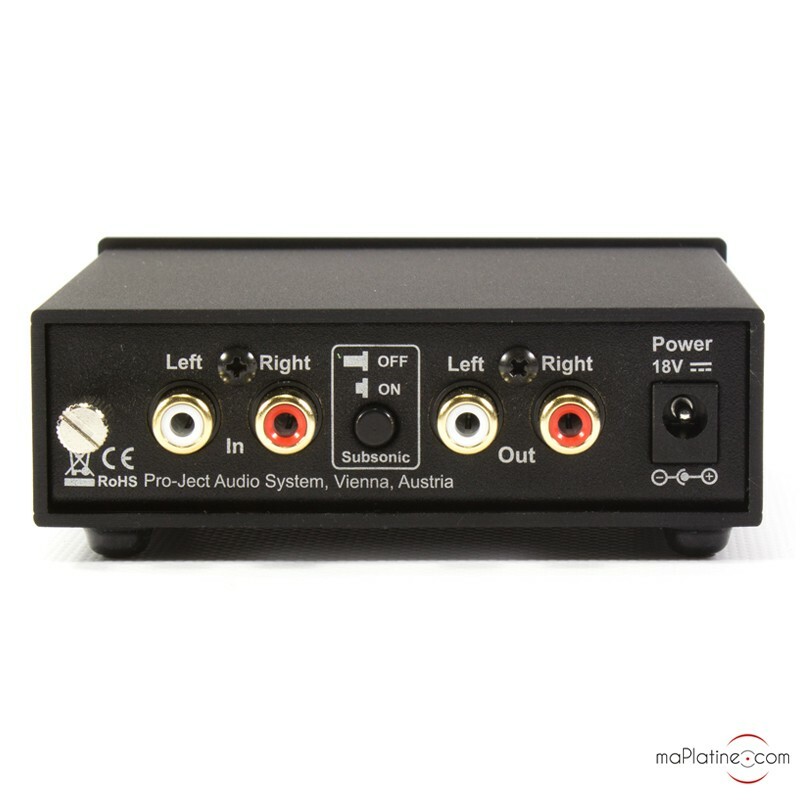 These enable to adjust with precision, and for each of the channels, the gain, capacitance, and resistance so that these are in perfect accordance with the type and model of the phono cartridge used. This optimization is essential in order to obtain all the potential out of your cartridge. 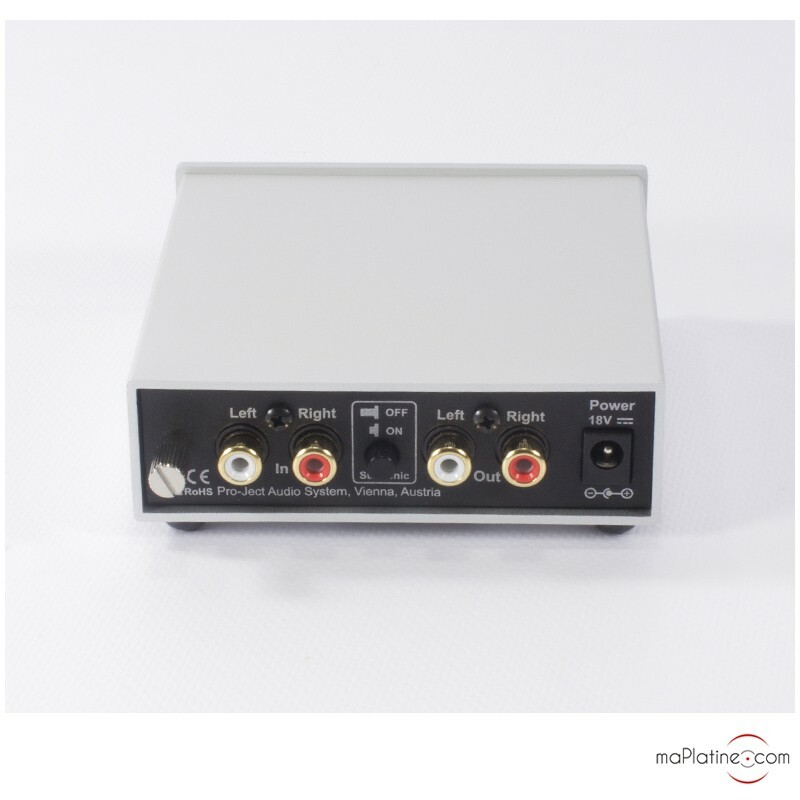 The components used are higher end range and the RIAA equalization is even better. 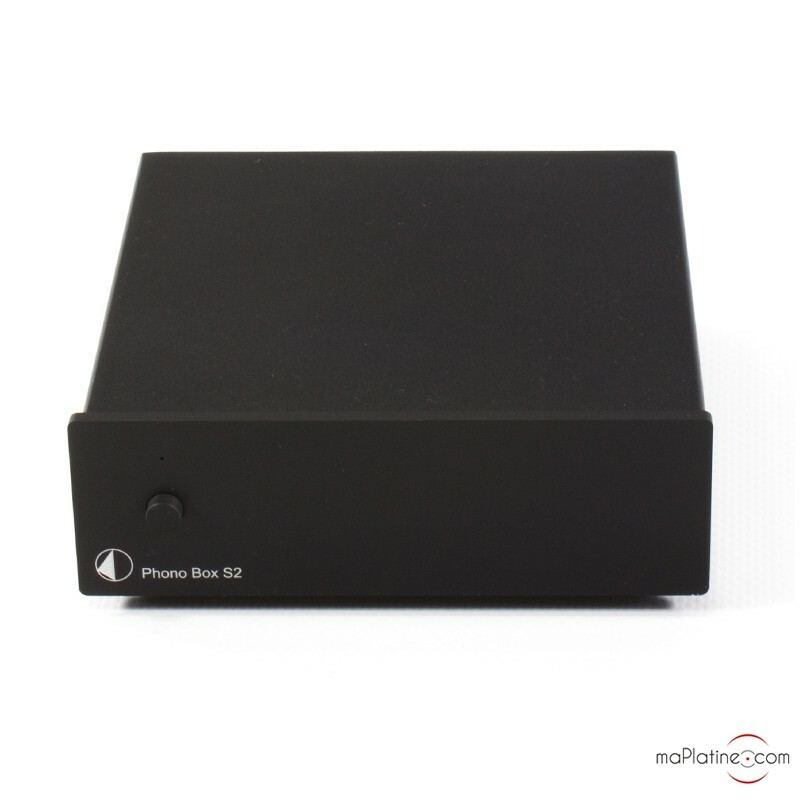 The Pro-Ject Phono Box S2 phono preamp is totally configurable, this is completely new in this price range. 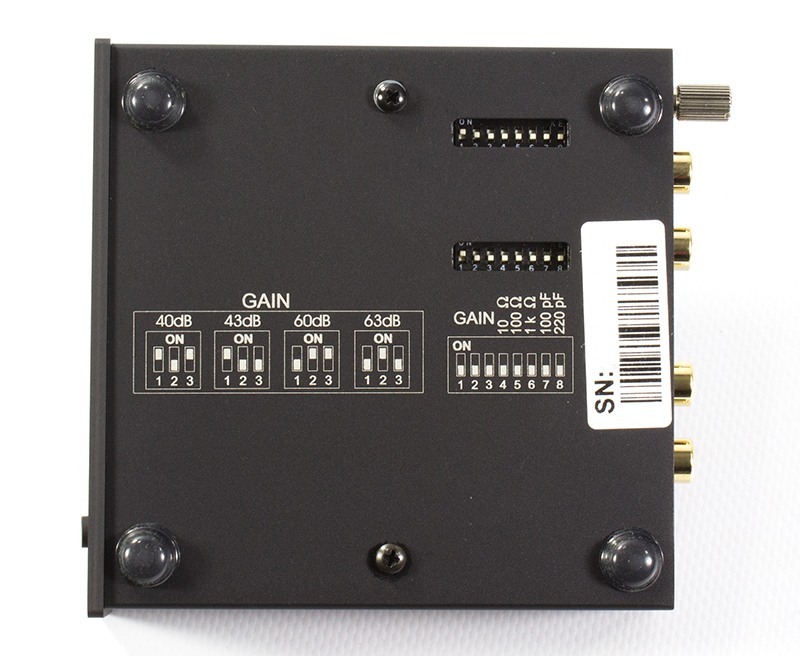 It has 4 adjustable gains, 4 load resistance, and 4 load capacitance which enable it to be combined with 95% of MM cartridges and 80% of MC cartridges. 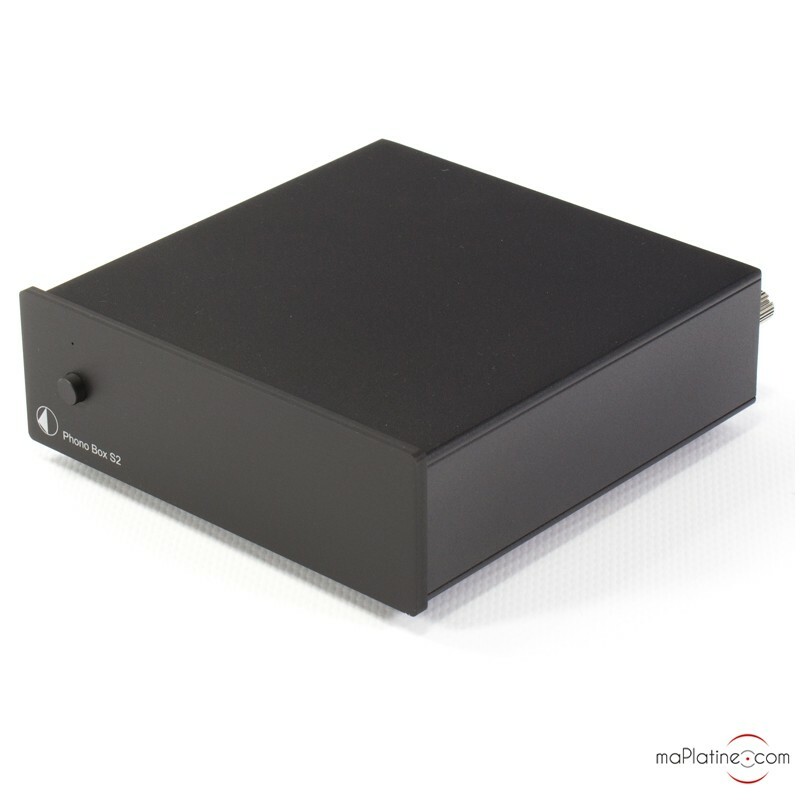 Of course, you can’t expect this Pro-Ject Phono Box S2 phono preamplifier to do “everything”. For example, combining it with a MC cartridge that costs more than 500 euros would be unrealistic. 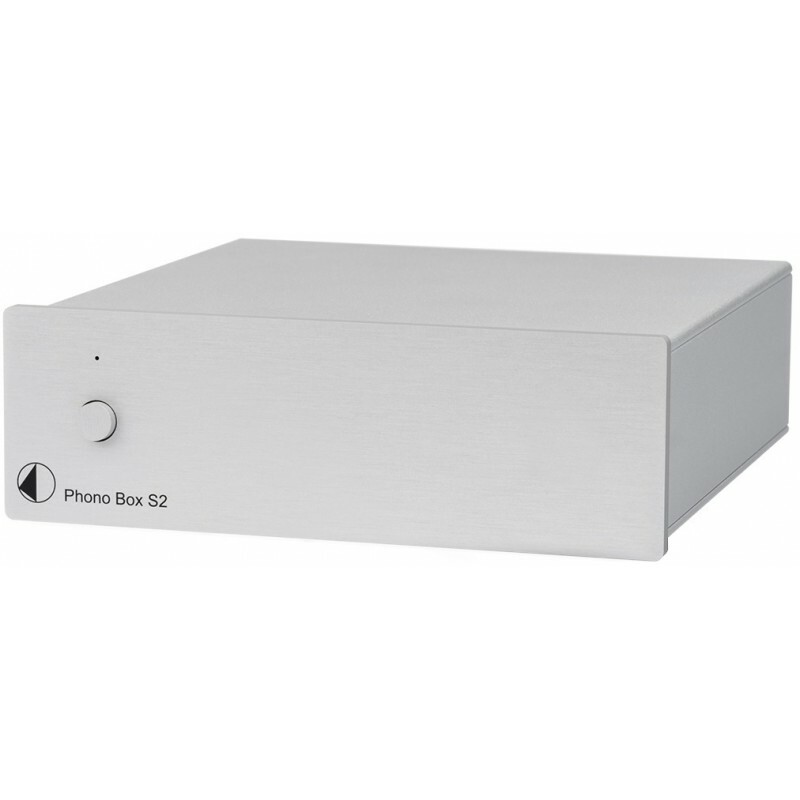 The Pro-Ject Phono Box S2 phono preamplifier is powered by an external power supply which supplies a direct current of 18 V. There is no need for a rectifying circuit or filter circuit and therefore there is a better signal-to-noise ratio as well as a better transparency. 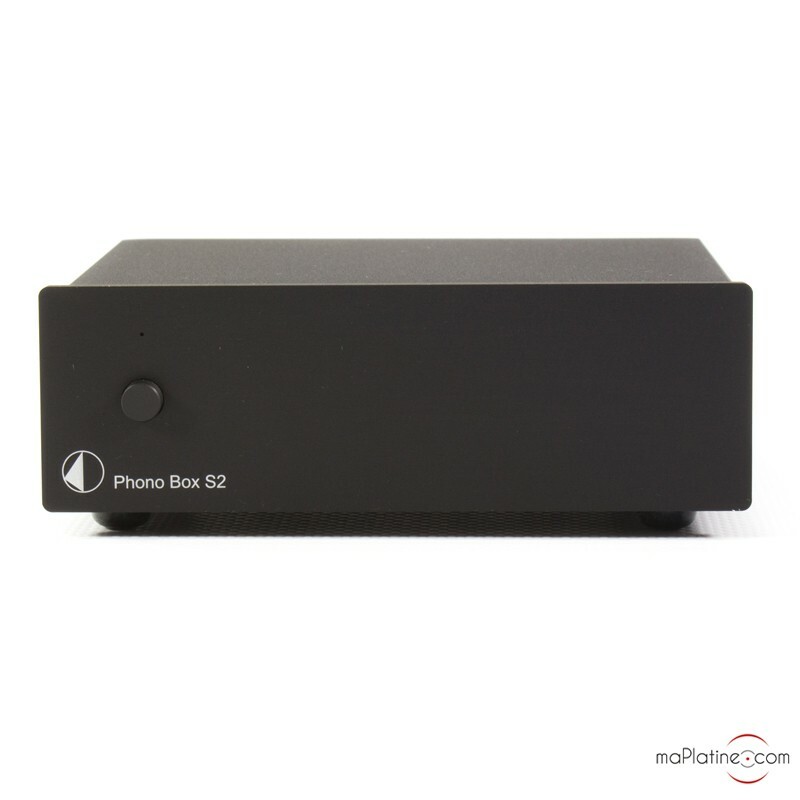 This new Pro-Ject Phono Box S2 phono preamplifier is certainly the best phono preamplifier under 150 euros! And for multiple obvious reasons: it is neutral, dynamic, balanced, and silent. Its musicality has nothing to envy of products that cost twice as much. 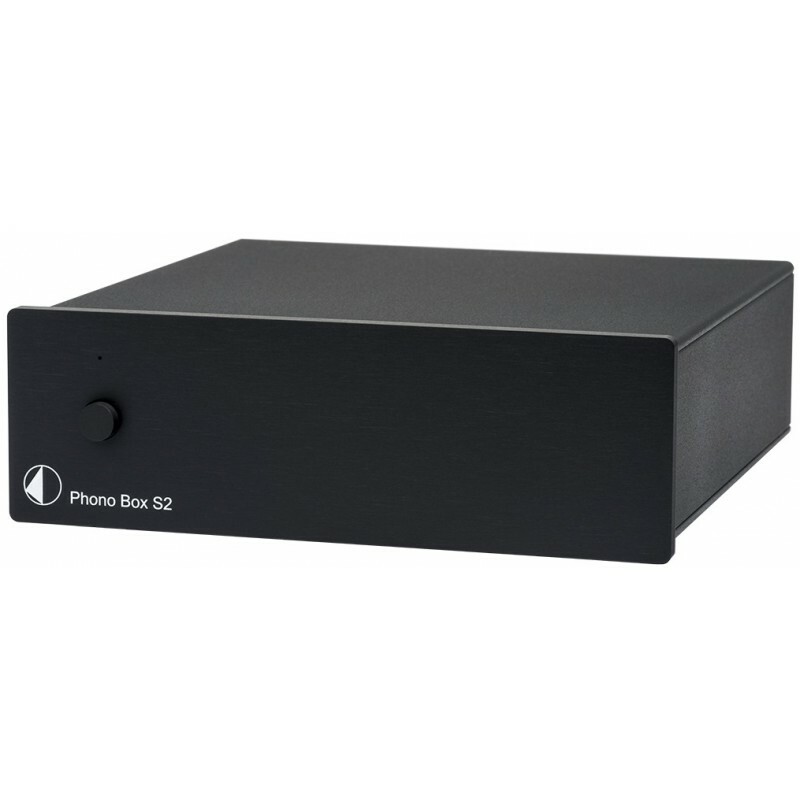 At the price it is offered, the Pro-Ject Phono Box S2 phono preamplifier is certainly a great deal. Highly recommended!